As mentioned earlier, many patients with LE are unaware of the detrimental effects of the sun on their disease and are ignorant about simple ways to avoid them. Therefore, education on sun protection, in addition to specific measures like sunscreens and photoprotective clothing, is of special value for patients with LE. Consequent protection against UV and other physical and mechanical injuries may prevent induction and exacerbation of the disease. Although no formal studies exist to demonstrate the beneficial effects of such measures, clinical experience strongly supports this strategy. In view of the available data indicating deleterious effects of UV irradiation on LE, objective evaluation of treatment and prophylactic strategies, e. g., appropriate sunscreens, is urgently needed for better care of the patients. With the development of standardized phototest protocols, excellent tools are available for the performance of such studies. 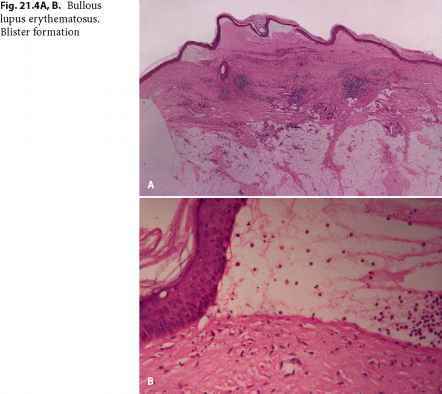 However, photoprotection and skin care in patients with LE go beyond the use of sunscreens taking into consideration that LE-specific lesions can be precipitated in nonlesional skin by a variety of nonspecific injuries (Koebner phenomenon), including mechanical traumas, heat, cold, etc., a poorly studied fact (Walker et al. 2002).